DIAGNOSTIC FEATURES: Pale or white under lobe tips; maculate surface; soredia in linear soralia; norstictic acid; compare with Cetrelia olivetorum, which has pseudocyphellae, P. chinense which has no maculae, brown under-tips, P. stuppeum, which has black under-tips, P. perforatum, NIS. 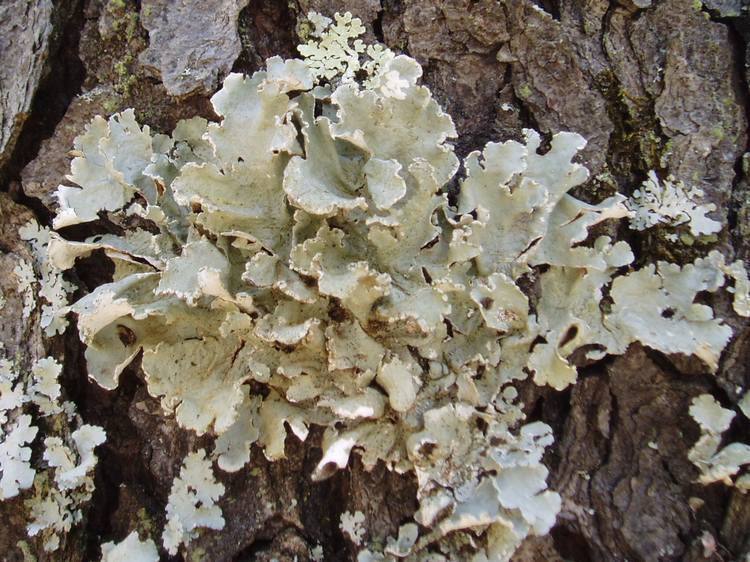 ECOLOGY: Southeastern US to Texas; scattered in Ohio but more common in the southern half of the state; on bark almost exclusively. 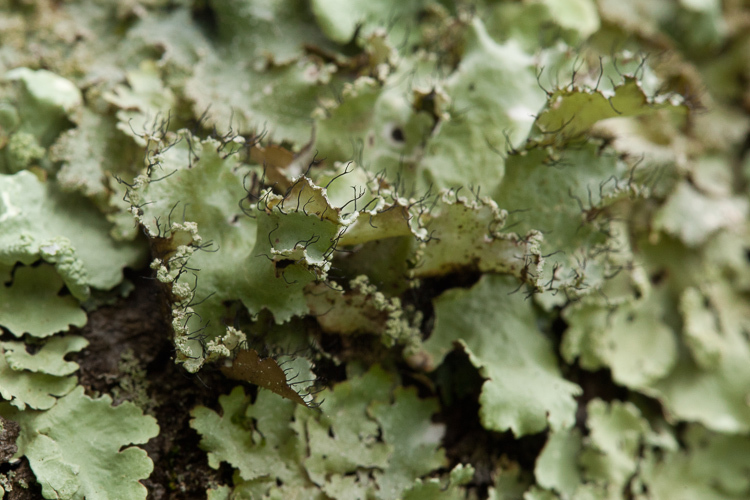 This is probably the most commonly encountered Parmotrema in Ohio.